+in support of global engagement. More than 400 institutions in 60 countries have established formal academic partnerships with NTU. The OIA holds and takes part in key international events, conferences and fairs in various countries. We also regularly visit partners. We cooperate with offices and departments across the University, enhancing support services and offering more international-oriented benefits to ensure a quality experience. Responsibilities include welcoming foreign stakeholders and guests, ratifying international agreements, implementing faculty exchange programs and international research projects, organizing international conferences and exhibitions, as well as engaging NTU in global alliances and events, branding NTU through visual designs and promotional items. +The Study Abroad Section develops student exchange programs and coordinates summer programs abroad. +The International Students Section recruits, assists and advises international students, and processes scholarships. The team actively helps international students to become and feel part of NTU's academic communities, and promotes an active, balanced student life where cross-cultural exchanges and open dialogues are encouraged. The CIE runs NTU’s Summer+ programs, designs tailored programs for overseas partners, develops a comprehensive selection of Chinese language and culture programs open to all international students, and works with colleges and departments to increase NTU's offering of English-language curricula. Based on Burgundy and Golden Yellow, the university colors. 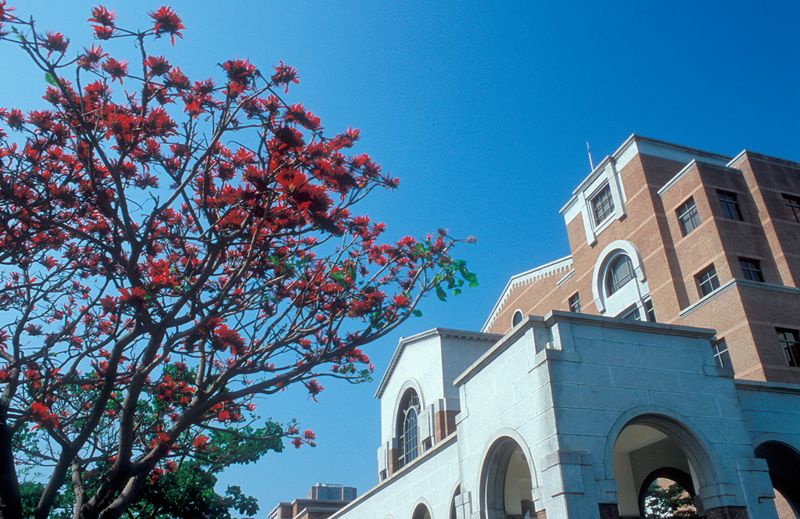 The globe symbolizes the earth; the land on the left side of the globe is the upper part of Taiwan Island, while the curved waterway on the sea symbolizes the channel that the Office of International Affairs(OIA) creates for the National Taiwan University(NTU). The horizontal oval with the initiating letter "O" of the OIA on it, takes the similarity of the shape of the regular switch that is common and easy to use in people's daily lives, which also implies the grounded role of the OIA plays in this scenario. 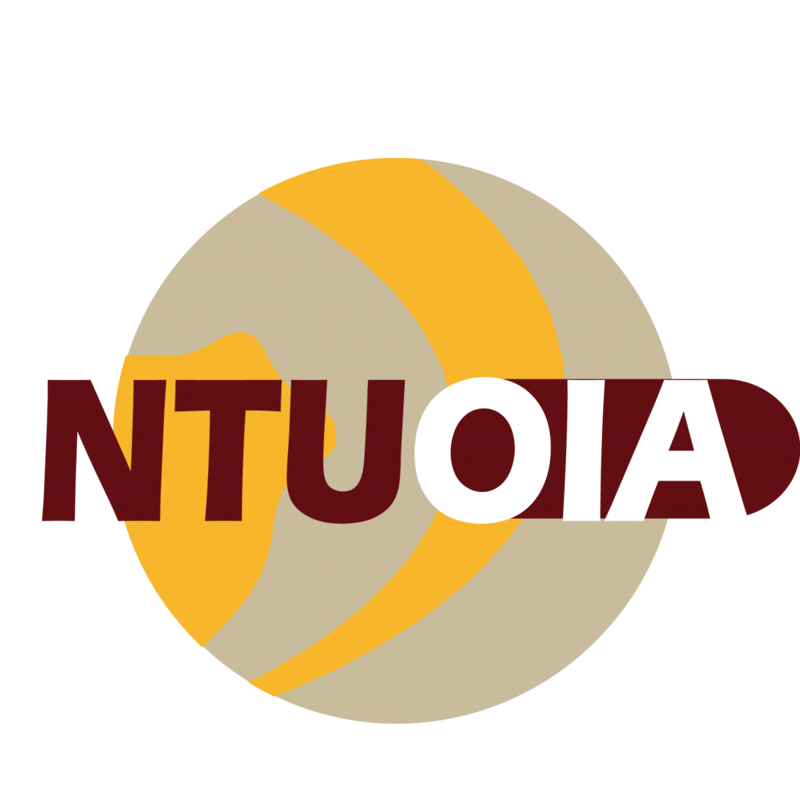 To conclude, this logo suggests that the OIA opens the gateway for the NTU to navigate the world.